After the signing of the provisional agreement between the Vatican and China, two Chinese bishops were invited by Pope Francis to attend the Synod of Bishops for the first time. 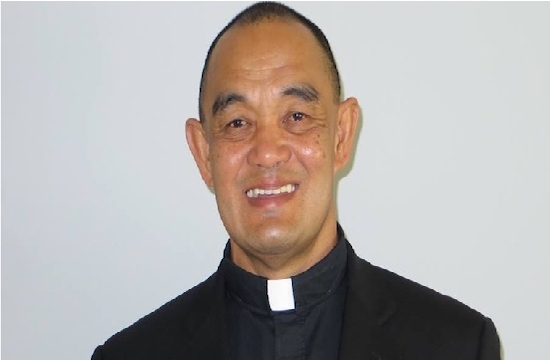 One is excommunicated Bishop Joseph Guo Jincai, who was recently accepted by the pope. He is the bishop of Chengde Diocese of Hebei province and secretary-general of the Bishops' Conference of the Catholic Church in China (BCCCC), for whom a US$11 million complex comprising a cathedral, convent and residence was recently built. The other is Bishop John Baptist Yang Xiaoting of Yanan Diocese of Shaanxi province. He is the BCCCC's vice-president and was ordained a bishop with both papal approval and government recognition in July 2010. He was the first mainland clergyman to receive a doctorate since the Chinese Church began to revive in the late 1970s. They will discuss with the synod's attendees the role of young people in the Catholic Church. The synod runs from Oct. 3-28 with the theme of "Young people, the faith and vocational discernment." More than 260 prelates are attending and 34 young people aged 18-29 are listed as observers. Pope Francis in a homily at the opening Mass on Oct. 3 said: "Today, for the first time, we have also with us two bishops from mainland China. 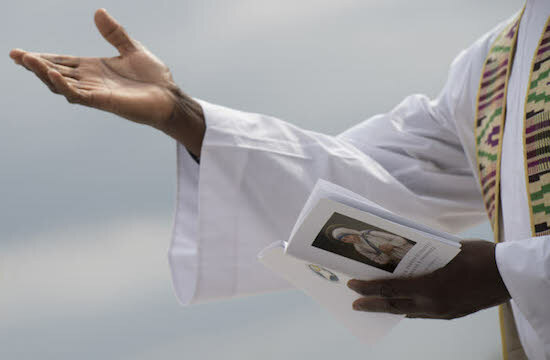 We offer them our warm welcome: the communion of the entire episcopate with the Successor of Peter is yet more visible thanks to their presence." After that, he choked up, according to the media. Paul, a Catholic of the underground church community in Hebei, said he was not discouraged by the bishops' attendance at the synod because the pope had already accepted them. "I hope they will be influenced and reformed to be able to bear witness with actions and will not disappoint God, the pope and the faithful." John, another Catholic of the underground community, queried how the synod would take care of minors in China and how these two bishops would reflect the real problems faced by Chinese youth as they are being banned from entering religious venues and being forced to renounce their beliefs. He said that Pope Emeritus Benedict XVI in 2005 had invited four old bishops, three of whom were government recognized and had publicly expressed their willingness to communion with the pope and the Holy See, to attend the synod but the Chinese government prohibited them. The four bishops comprised three government-recognized bishops — Bishop Li Zhaoan of Xian, Bishop Jin Luxian of Shanghai and Bishop Li Jingfeng of Fengxiang — and underground church Bishop Wei Jingyi. John believed that the Chinese government this time allowed the two bishops to attend the synod as it was like hanging a trial balloon in the wind with the line of the balloon still firmly in the hands of the government. "They represent neither the Chinese Church nor the Chinese young people but the interest of the Communist Party, which is above all and most sacred," he said. According to the Vatican Insider, a source from China said that Bishop Guo and Bishop Yeung were able to attend the synod after being approved by Wang Zuo-an, director of the State Administration of Religious Affairs. Joseph, a Catholic of the open church community in Hebei, said that if the two Chinese representatives were appointed by the Chinese government, that reflects the mainland church is still under the authorities' control. "This will be a great disaster for the mainland church" and "a great harm to the church's hierarchy" as "it turns to be a hierarchy with government involvement," he said.